Emil Savundra was for much of his professional life a lucky man. He was a lover of Mandy Rice-Davies at the time of the Profumo affair, but was only referred to in court as “the Indian doctor”. He was freed from a five-year jail sentence in Belgium after only two months following the intervention of the Vatican. He described himself as “God’s own lounge lizard turned swindler,” adding, “I don’t like work”. 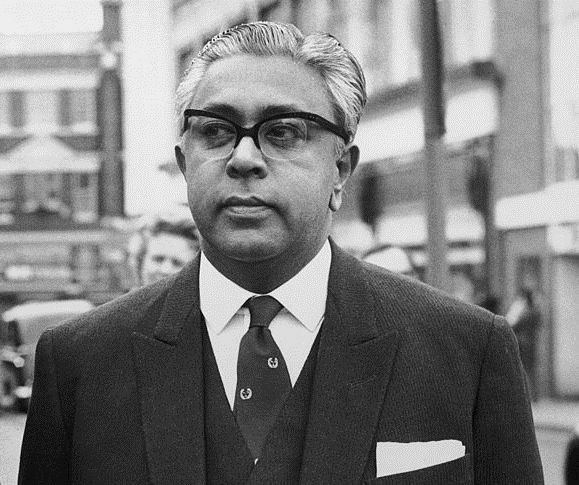 Born as Michael Marion Emil Anacletus Savundranayagam in Ceylon on 6 July 1923, he had been involved in a number of shady businesses in China, Ghana and Belgium before he arrived in Britain in the 1950s. After discovering that anyone could become an insurance broker if they had £50,000, he founded Fire, Auto and Marine (FAM) in 1963. The company offered very attractive deals — premiums were half the cost of other insurance brokers. Savundra explained, “My methods are the most modern and cost-effective. Traditional insurance companies need to charge exorbitant fees because their out-of-date system loads them with big overheads and costs.” Money began to pour in; by some estimates as much as £40,000 per week. The law dictates that an insurance company must have enough assets to meet claims but the money that came into FAM quickly left again via Savundra’s wallet, buying him luxuries including a speedboat. It was two years after the formation of the company that money out began to exceed money in. Initially, Savundra told his staff to limit payouts to £10,000 a week. The Board of Trade demanded to examine the company’s books but Savundra fooled them by producing a fake document from Liechtenstein stating that FAM had more than £500,000 of government bonds. It only delayed the inevitable. As FAM collapsed so did Savundra, taken to hospital with a convenient heart attack. He fled to Switzerland and then on 9 July 1966 to Ceylon. On 24 July 1966 the company was wound up, leaving 400,000 motorists unprotected. In January 1967 Savundra unexpectedly returned to Englanda and went to the Labour Exchange on Regent’s Park Road to sign on the dole. A week later, he received a writ from the Official Receiver for £386,534. He claimed he had no legal or moral responsibility to his former customers. A week later, he was arrested. Savundra went on trial on 10 January 1968 at the Old Bailey. The jury found him guilty and he was sentenced to eight years in prison and a £50,000 fine. the American government and offered to sell them his wife’s land in Ceylon for $200,000,000 on condition she was made Queen of North Ceylon. Before the Americans could turn down his offer, Savundra suffered a heart attack at his home in Ousely Road, Old Windsor on 21 December 1976 and was pronounced dead on arrival at King Edward VII Hospital. At the end of 1977 FAM’s creditors received a dividend of 30 pence in the pound.